College students, baristas, and oh yeah, there’s cannibals, too. That’s right, folks. We’re talking about Tokyo Ghoul. This anime had quite a bit of hype, and now I can see why. As soon as the episode starts, you’re captured in the gorgeous animation, a cityscape view of Tokyo, and then boom, there’s a corpse right there to give you a pleasant jump. Never mind the amazing OST right from the bat, when we witness the first confrontation between the binge-eating woman and ‘Jason.’ I don’t know about you guys, but OST’s are my life force, and this one is golden. And afterwards, you’re left wondering what the heck is happening, and then–title screen. We meet our protagonist–Kaneki Ken. A normal eighteen-year-old college student who is enamored with a girl he met at a local coffee shop. But, it wouldn’t be a good anime if our beloved protagonist wasn’t quite ‘normal’ after the first episode. After a last-minute surgery involving Kaneki, and his not-so-human date, he’s wound up in the twisted circle of ghouls–except he’s just half and half. Much so that only one of his eyes turns red whenever he gets hungry. Once we realize that Kaneki isn’t entirely human anymore, we start to see him slowly fall apart at the seams, losing grip of his sanity and increasing his desire for human flesh. Gnarly. One thing about this series is that you find yourself saying, “Wow, this is messed up,” throughout the extent of the episode. I mean, I know I did. And I love it. 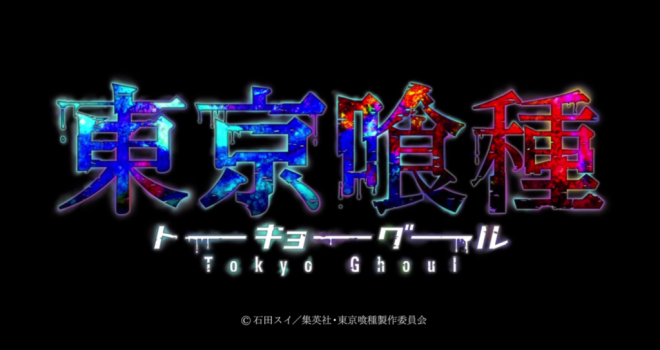 I love psychological, gory thrillers such as Tokyo Ghoul. I didn’t know how much I needed a series like this until I actually sat down and watched it. 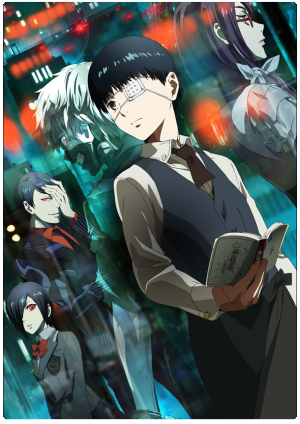 What I liked most about this first episode is the emotion you feel from Kaneki as he undergoes his transformation from human into a ghoul. You feel his desperation as he tries to cling onto his humanity when offered the flesh of a corpse. He realizes that if he does succumb to his hunger, that he wouldn’t truly be human anymore, and we as the audience get to sit down for the ride as we get to witness the madness of being a ghoul and living under the noses of the CCG. All in all: Great animation, beautiful OST, awesome characters, and plot-wise, I would love to see where this anime adaption progresses as the series goes on. 10/10 would continue. What did you guys think of the first episode? Would you continue with this series? Let us know in the comments! This the first anime post on the GaminRealm website! It is the first of many more articles to come, so be on the lookout for more! Richly melodramatic horror — with marvelous performances, a witty script, atmospheric direction and a surprising number of effective shocks.